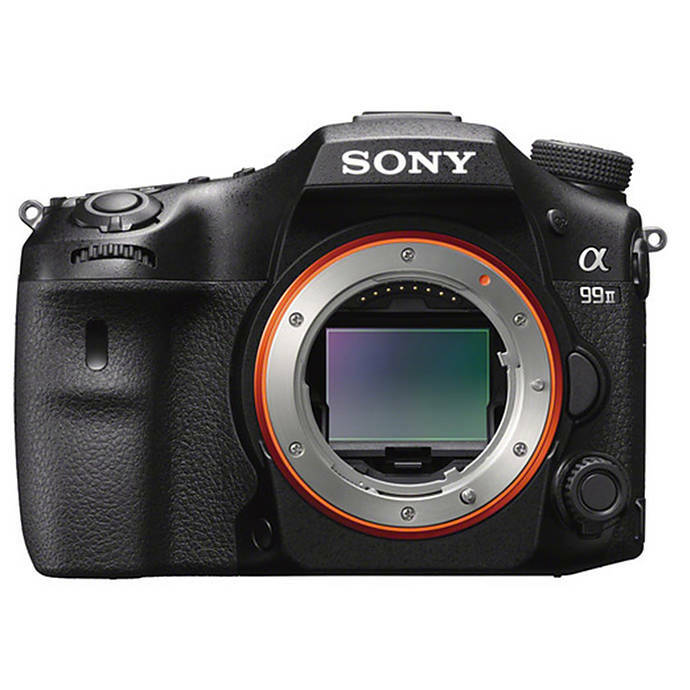 The Sony a99 II is a well-equipped, ergonomic full-frame translucent mirror DSLR camera that every photography enthusiast would love to have. It features a 42 MP Full-Frame Exmor R BSI CMOS sensor, which works in conjunction with the BIONZ X processor for taking life-like pictures and videos. The 5-Axis SteadyShot INSIDE image stabilization compensates for about 4.5 stops and 5 types of camera shake that are encountered during hand-held shooting so that you can take still images and videos without any blur. 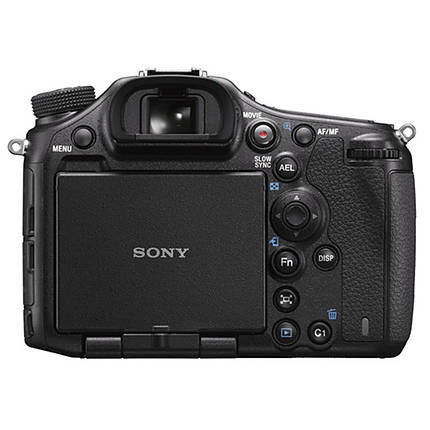 The 79-point Hybrid Phase Detection AF system, with the help of Translucent Mirror Technology from Sony, lets you focus on your subjects automatically at a high rate of speed and precision. Use the inbuilt WiFi, NFC, and Bluetooth connectivity facilities for sharing captured content with similarly-compatible devices, as well as at social networking and cloud websites. The a99 II from Sony is compatible with a variety of Sony Alpha and Minolta lenses that offer amazing apertures and focal lengths. Use the 79-point Hybrid Phase Detection AF system, which features Sony’s Translucent Mirror Technology, for focusing on your subjects in a fast and precise manner. The ISO sensitivity ranges between 50 and 102,400, whereas the shutter operates at a maximum speed of 1/8000th of a second. The 5-Axis SteadyShot INSIDE image stabilization makes it easy to take blur-free videos and still images by compensating for around 4.5 stops and 5 types of camera shake generally encountered during hand-held shooting. The Metering Methods, along with the Exposure and White Balance modes, are useful for a variety of photography situations. This camera is equipped with a 42 MP Full-Frame Exmor R BSI CMOS sensor that enables you to shoot true-to-life photos and videos. The 3-inch tiltable rear LCD screen provides a resolution of up to 1,228,800 dots for adjusting settings, composing images, and reviewing your captured pictures and videos with immense clarity. It tilts up and down at angles of 134° and 180°, as well as rotates clockwise and anticlockwise at angles of up to 180° and 90°, respectively. Use the 0.5-inch 2.36 M-dot XGA OLED Tru-Finder electronic viewfinder for viewing your subjects conveniently even under the bright sunlight. The Sony a99 II not only captures RAW and JPEG photos at its highest resolution of 7952 x 5304 pixels but also records 4K UHD videos at a resolution of 3840 x 2160 pixels at 30 fps in the XAVC S format. The BIONZ X Processor renders high-quality videos and pictures with excellent performance even in low-light conditions. You can shoot images continuously at a burst rate of up to 12 fps. Record slow-motion Full HD videos anywhere between 1 to 120 fps with the help of the camera’s S&Q mode. Use the Custom Color and S-Log3 Gamma profiles to avail up to a 1300% wider dynamic range for those smoother color and tonal gradations, as well as enhanced clarity and sensitivity in mid-tones and shadows. The built-in NFC, WiFi, and Bluetooth connectivity options allow you to share captured content on various social networking and cloud websites, as well as with similarly-compatible devices. The ergonomic design offers every user with an intuitive user experience. Constructed of magnesium alloy, this camera is lightweight yet durable. 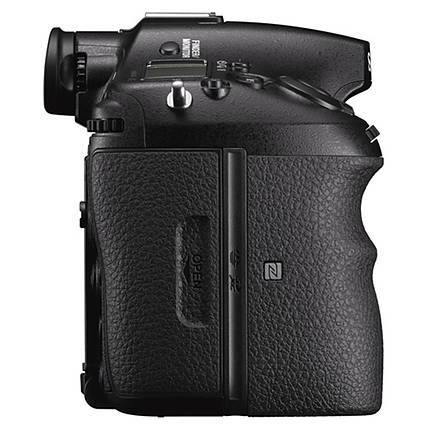 Furthermore, this camera runs on a long-lasting NP-FM500H rechargeable Lithium-Ion battery pack. A measurement of the LCD Monitor's resolution not by width by height, but rather the total amount of dots. The same as effective resolution, but measured in Megapixels. A technique to compensate a measured exposure level against other factors which may render a less-optimal image. The total amount of pixels. Describes the detail an image holds. The highest resolution that a display device can support. This is the maximum viewing area through a camera's viewfinder. The eye level device you look through to compose the image. The amount of time the shutter stay open for exposure. Measured in fractions of seconds. Blades or some type of cover that controls the time during which light reaches the film or sensor. Older cameras use mechanical shutters while new cameras use electronic shutters. 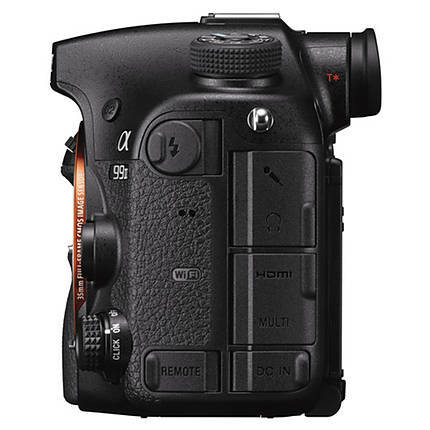 Allows a delay between pressing the shutter release button and the actual firing of the shutter. Commonly used to give photographers time to put themselves in the shot and to take photos without having to physically have their hands on the camera during exposure. Refers to the option for the user to override the internal light meter in the camera to either OVER or UNDER expose based on middle/18% gray. This is especially useful when photographing either extremely white/bright scenes or when in very dark/dimly lit scenarios. Describes the camera's video recording capability. Will describe the camera's video recording system, image sensor, video resolution, as well as other pertinent information related to the camera's video recording. Describes the camera's audio recording capability. Will describe the type of microphone and any additional XLR/miniphone jacks. A flash that is embedded or part of the camera. 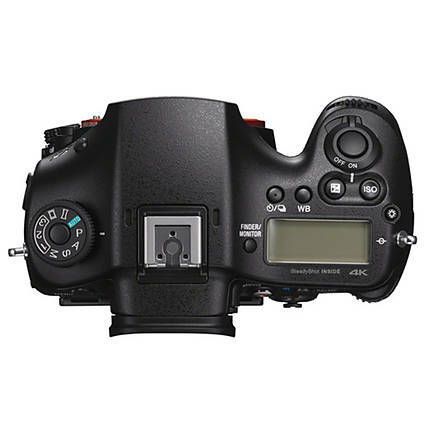 Built-in flashes are found in both DSLR and Point & Shoot cameras. Although practical because of their small size and ease of use, built-in flashes are often ineffective and/or unflattering as a main source of light. Different modes that determines how a flash will be used in a photo. The metering system measures the amount of light in a scene. It calculates the best exposure values based on the amount of light. An off camera flash used for more creative lighting. White Balance is the process of removing unrealistic color casts so that objects which appear white in person are rendered white in your photo. Refers to the number of frames that can be captured per second (fps = frames per second). The type of AC adapter. Refers to Autofocus points on a digital camera. A camera can have as many as 51 AF points. The types of focus modes an item has. The range that the meter can work in. Usually indicated as exposure values.